TouchLive point to be renewed for SUPER LEAGUE TEAM RANKING on Monday, Mar. 18! 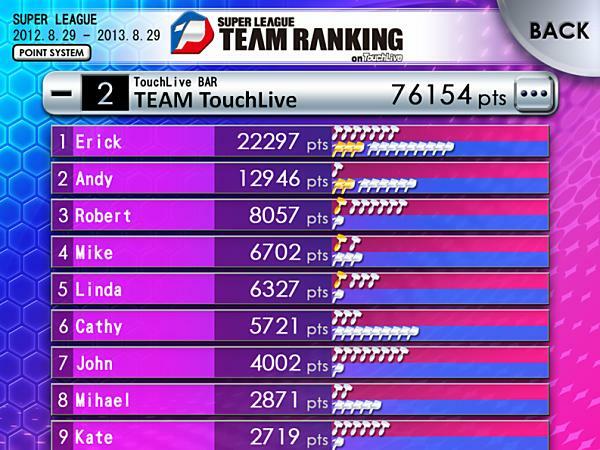 Let's aim to win with the higher points from easier-to-score TouchLive ! 1. 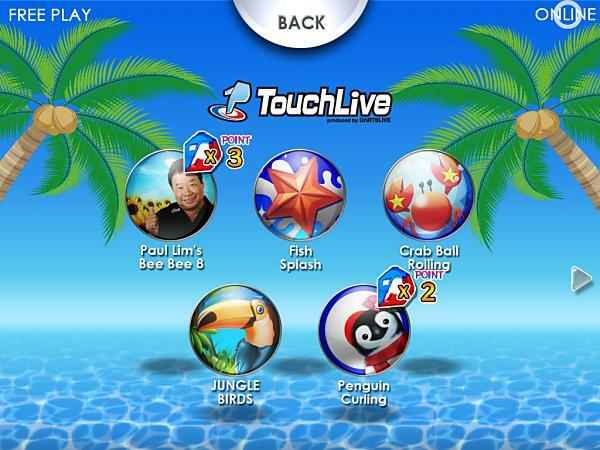 You can earn more points with higher TouchLive FLIGHT. *Now you can earn more points when　FLIGHT is up! Point gain is increased when you get higher TouchLive FLIGHT. Earn points by playing your favorite games! 2. Earn Bonus points with NEW RECORD! Get 10 bonus points by breaking your own record! When the games are listed with "× 2" "× 3" · · ·, doubled or tripled points can be earned! Check it out on TouchLive! 4. Team point Table is now easier to see! Team acquisition points table is now easier to read! Check the table after earning points from TouchLive or DARTSLIVE. 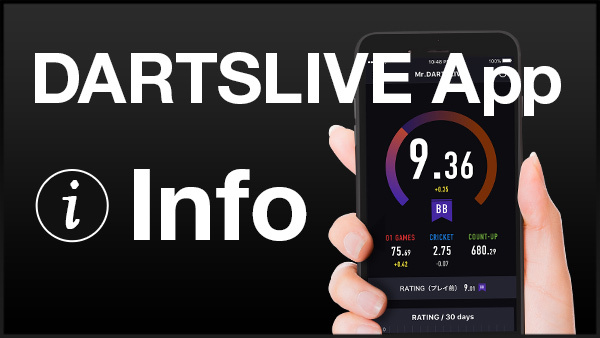 *No change in DARTSLIVE play point:1BULL = 1pts. What is SUPER LEAGUE TEAM RANKING? 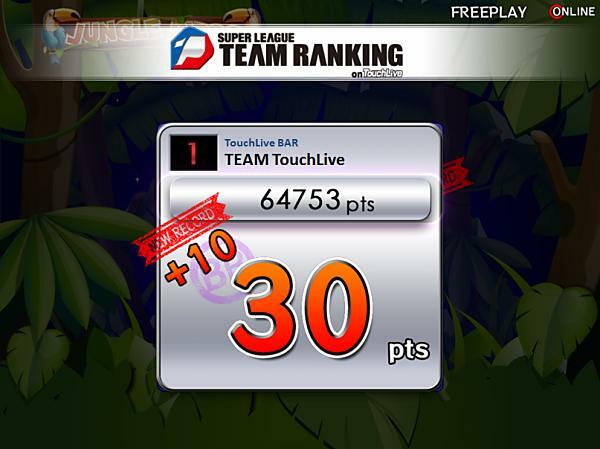 SUPER LEAGUE TEAM RANKING is decided by the ranking of the team on TouchLive. 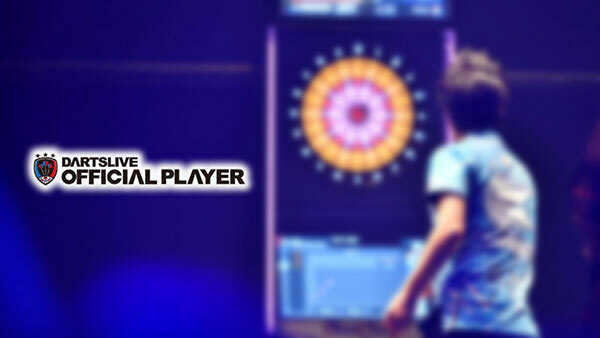 The ranking is based on the points earned by playing TouchLive and DARTSLIVE during the SUPER LEAGUE period. Let's aim for the team victory with your team mates!